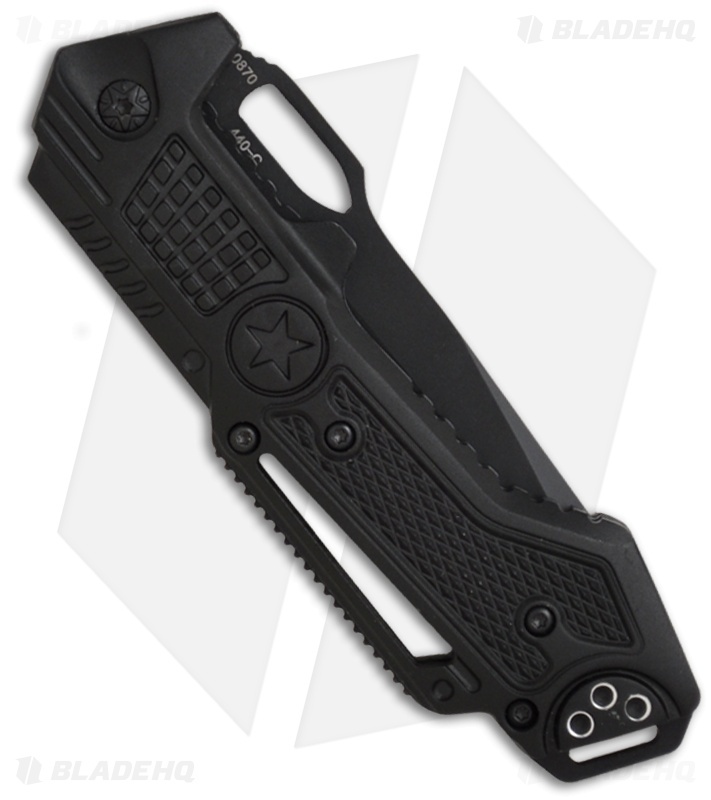 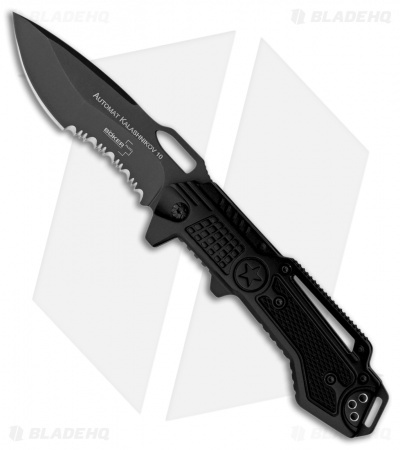 The Boker Plus Kalashnikov 10 Manual Folding Knife is a nod to the Kalashnikov design. 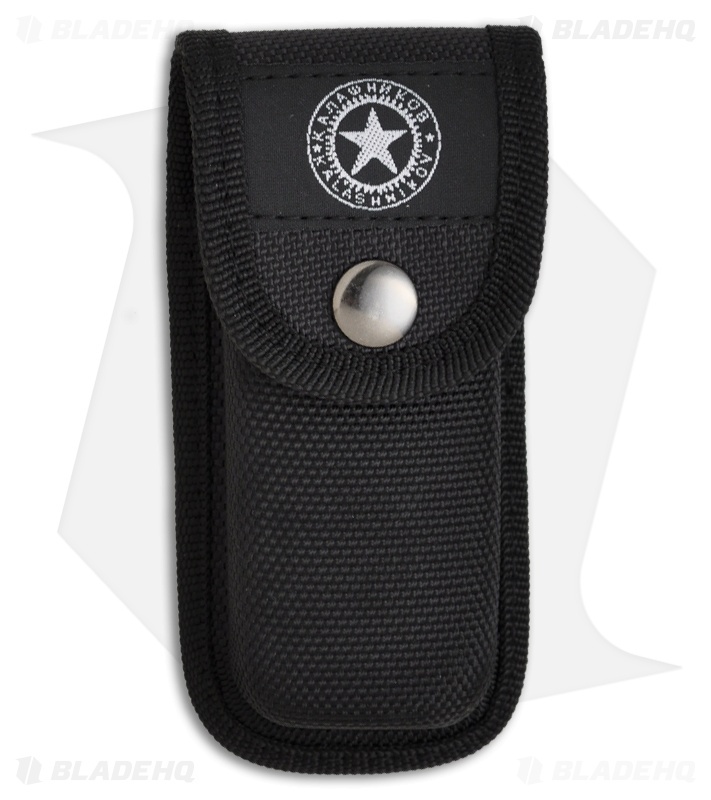 The black finished 440C stainless steel blade features a partially serrated edge, an ambidextrous thumb hole, and a proven recurve grind with aggressive serrations, making it most effective when performing pulling cuts. The aluminum handle scales sit atop a steel liner lock frame with a lanyard hole. Includes a sturdy nylon sheath.